I’m excited to introduce to you our speaker for our November meeting. 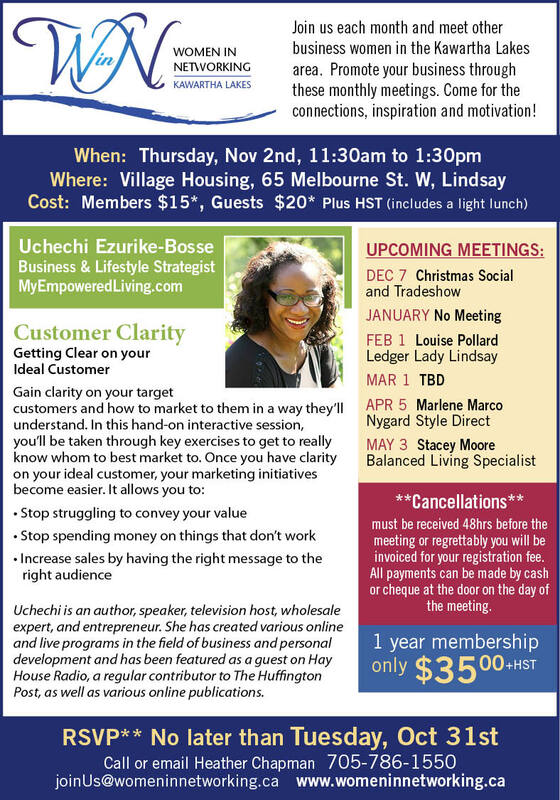 Uchechi Ezurike-Bosse is a Business and Lifestyle Strategist from the Durham region. I’ve gotten to know Uchechi through various networking events over the past few years and her energy is truly infectious. I know you will come away with some helpful tips for your business! Full details attached. Please let me know if you are planning to attend and do share with anyone you think may be interested. If possible, please send payment via e-transfer to this email address to better stream-line the registration process. If required, payment can also be made by cash or cheque at the door.